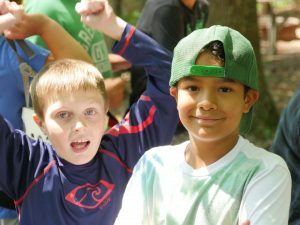 If you refer a friend or friends to register their child for any kids camp this summer, you BOTH receive a $25 discount on registration! How do you receive the discount? When you register with a hard copy form: Call (231) 889-5911 after you’ve sent in your registration and we can take your information! This summer at PLCBC is going to be incredible, and we want the invitation to be spread in your churches, schools, and communities so that all can experience the love of Christ at Portage Lake this summer! How do I Invite a Friend to Camp? Click below to watch Nick (and Nick) show the basics of inviting a friend to camp!